Once again we see a poverty map of Wales where most of Wales is fairly sparsely represented but the valleys are teaming with the kind of social injustice that should not be present in a modern developed nation. To satisfy my own curiosity I took a map of the Senedd constituencies and overlaid it on the above map. I added some transparency to the layer in order for the foodbank locations to show through. I wasn't surprised with the results. As with child poverty it's the valleys and north east that have the most food banks. But then these are also the most densely populated areas. Is there any correlation? 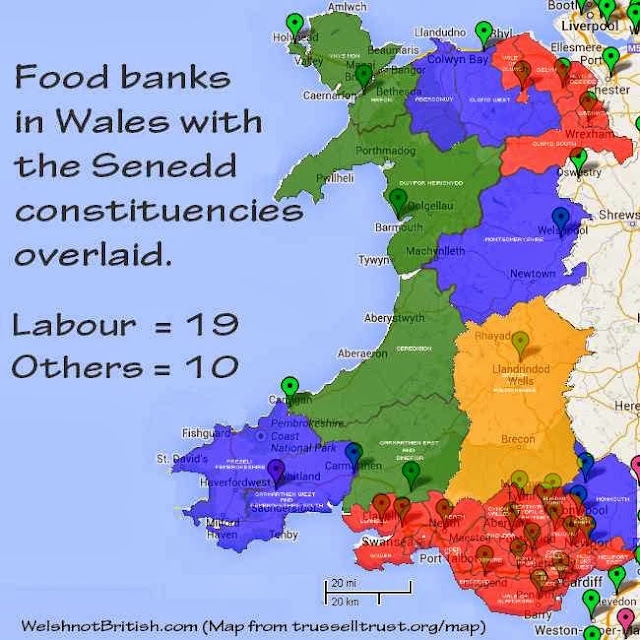 It's hard to say really since most constituencies appear to have at least one food bank with exception to Torfaen, Merthyr and Islwyn that have two. All three of these are Labour. So does poverty breed Labour or does Labour breed poverty, or perhaps it's a bit of both? Note the graphics have been made by myself from the Trussel Trust website, if there are inaccuracies then please contact them to have the map updated. 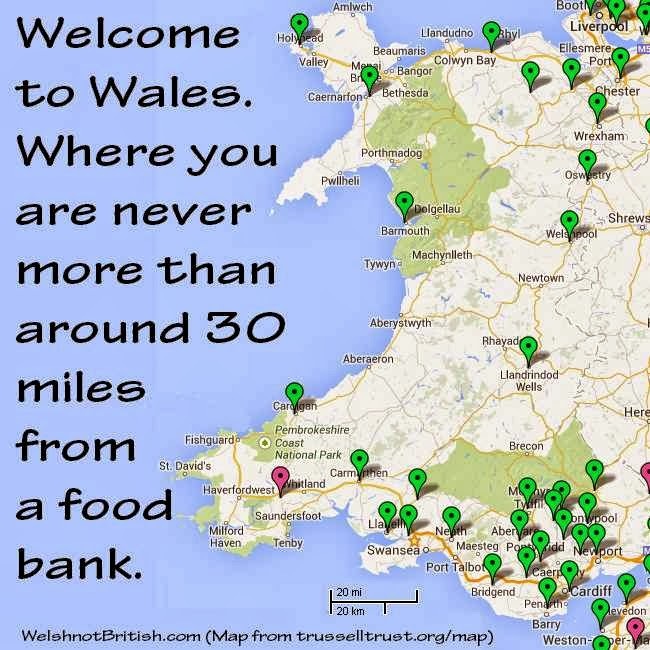 If they fail to update their maps with the food banks that are missing (apparently the oldest food bank in Wales isn't on there) then it might indicate they do not want "competition". And of course it would also mean that there are far more food banks in Wales thamn the map would indicate.